A parody of Blank Space by Taylor Swift about drawing a blank when talking to Al, all inspired by my nervousness around him. That sounds pretty funny, actually. 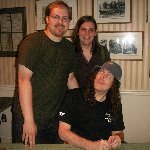 Hey guys, I'm back again and about that Weird Al project where I was going to review album. I will still finish it at some point, but the reason I haven't is because I have came across a gap. I couldn't seem to find a review thread for Off the Deep End and I'm not even sure if there is one or not. If not I might create one, but that's what was slowing me down. Anyways, here's a new parody from me and interesting backstory behind this, I came up with almost the entire chorus and the title for this parody during a late night shower. I swear no drugs was involved with the making of this parody, I'm just very weird and I want to share this parody with this board of weirdos. After all if we aren't weird, then what the hell are we doing on a Weird Al forum? Oh god please no! Not again! All these words in my head, are they making any sense yet? There's a cow right behind me and I don't like green eggs and ham! There's a cow right behind me, fine I'll try your green eggs and ham! weirdalrocks wrote: about that Weird Al project where I was going to review album. I will still finish it at some point, but the reason I haven't is because I have came across a gap. I couldn't seem to find a review thread for Off the Deep End and I'm not even sure if there is one or not. If not I might create one, but that's what was slowing me down. Haha, wow. Missed you, weirdalrocks! I think you can go ahead and start that review thread if you want! I'm overwhelmed by randomness of this thing. A fellow teacher at my school helped me with this one. I think it came out really well! Hope you like it. That was...well...brilliant isn't a good enough word! Totally, incredibly awesome!!!!!! You sound so much like Al!!!! That was really good! I like how it's full of song references.